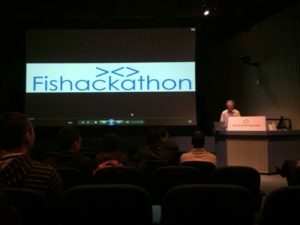 This summer I participated in the first annual Fishackathon, a two day event that brings coders together to work on projects for sustainable fishing and ocean preservation. The hackathon was held in many cities across the US, and was sponsored by the U.S. State department in participation with local aquariums. 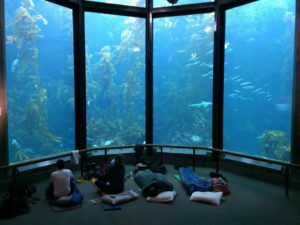 As part of this event we got to eat, sleep, and code inside the Monterrey Bay aquarium which was a once in a lifetime experience. My group tackled the West Africa problem statement, which was the need for a technological solution for managing fisheries on the west coast, primarily in Ghana. 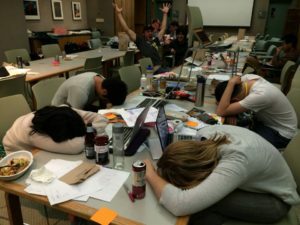 Before writing any code or even sketching out designs, we reached out to the creators of the problem statement to understand more about the needs of this unfamiliar user group. 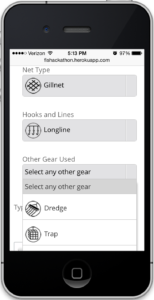 We learned that smart phones are not very wide spread (though most people have feature phones), internet access is unreliable, and many of the fisherman are illiterate, so we needed to take all of these into consideration for the design. 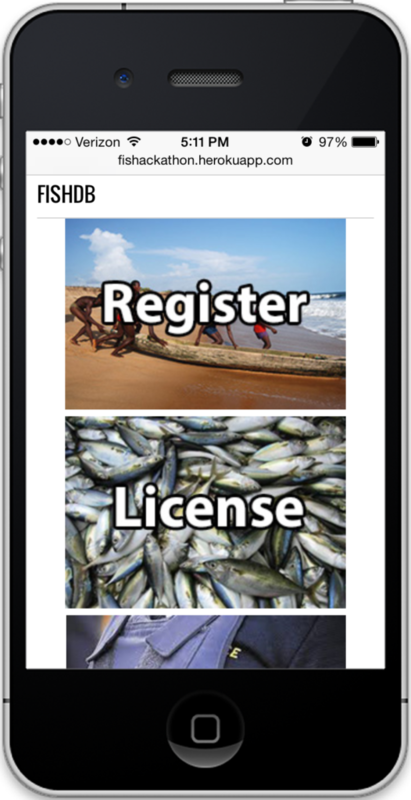 The end result was Fish DB, a mobile web app featuring a simple graphical interface that let fishermen register their boats, apply for fishing licenses, and report illegal fishing. We also implemented submission by text for users without smart phones, and an admin interface so that program administrators could manage incoming requests and reports. My role in the project was to collaborate on the design, and I was also the primary programmer for the Ruby on Rails web app. After winning the local event at the Monterrey Bay Aquarium, our group advanced to the final round where were delighted to be selected as the grand prize winner for the whole United States!